YouTube encouraging Content creators to include multiple Subtitles and Captions to their branded videos that can reach a wider range of audience. 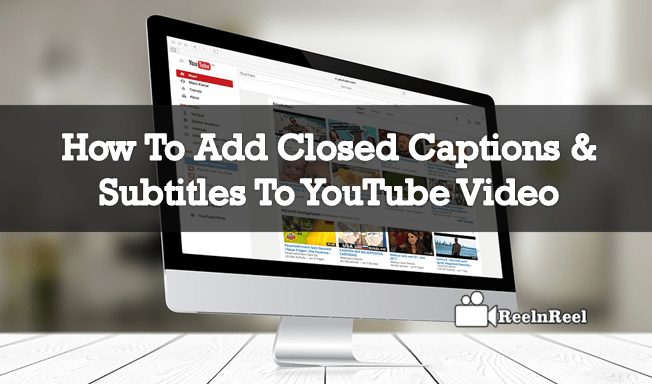 YouTube offers free tools to Add Closed Captions and Subtitle automatically to the YouTube Videos. The main reason behind the adding Closed captions and Subtitle to the YouTube Videos are the people who can not Speak and who are deaf. They can easily understand and respond if we included Captions and subtitles to the Videos. The YouTube Captions always make your videos accessible to the wider audience.By making your captions and subtitles available for people in multiple languages with your video. The YouTube Captions and YouTube subtitles boost your video by reaching the hearing impaired too. YouTube Captions also helps the people who are not good at the listening the English language but can easily read and Understand. So that, people can access your video content in their language by utilising the captions as well as the subtitles. YouTube made its step towards adding the captions in the YouTube videos. The platform has added the new translation feature where the captions can upload by utilising the Google caption services. The subtitles can be turned automatically using this services. 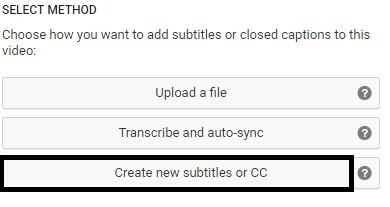 There is an option on YouTube, that can create Closed Captions and Subtitles automatically once if you upload your video to YouTube. But for some reasons, we should process step by step procedure on YouTube. How do I translate a YouTube video to English subtitles? How to get English subtitles for YouTube Video? How do I get YouTube to automatically play subtitles? First Login to YouTube Account. 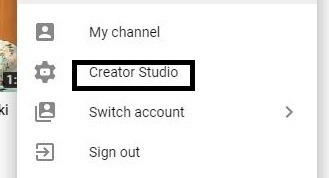 Go to the “Creators Studio” and click on Video Manager option. In “Video Manager” you will find two options like Videos and Playlists. Chose “Videos” option from Video Manager. Next, to the Video where you would like to add Subtitles and Closed captions, click on a drop down menu next to “Edit button”. In another way Click on Edit option and then select “Subtitles/CC “tab. 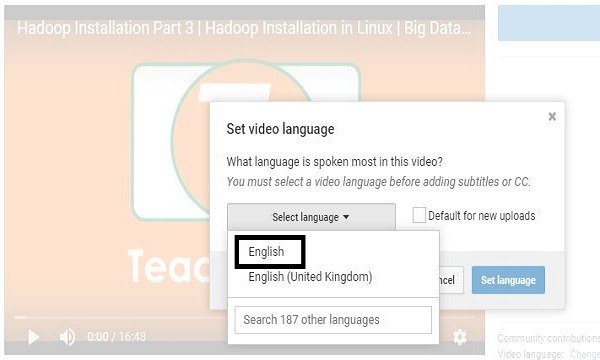 Click on “Add New Subtitles/CC” button and choose the Language as “English” or other languages whatever you would like to add. 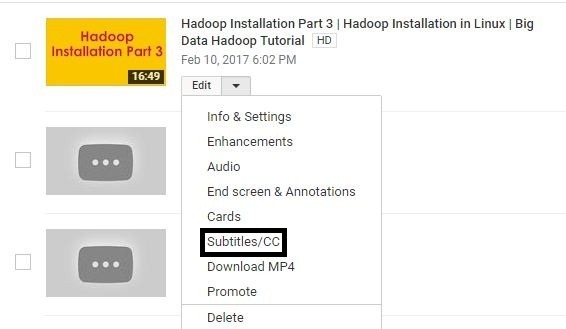 There are two ways you can add Subtitle and Closed Captions to your Videos. You can directly “Upload a Video File “if you have transcription with time codes. You can add automatic Subtitles/CC and You can add Subtitles/CC from the starch. If you select “Transcript and Auto-Sync “ option first copy and paste the script in the text box which is located on the right side. Choose “Set Timings” options, it takes few minutes to add time codes. We have other optional fields like add descriptions, tags, cards and end screen. Click on “English” option once it is finished. Then go to the “Video” check if everything is good and correct subtitles and time codes. Finally, Click on “Publish” button. These are the basic steps needed to add Closed captions and Subtitles to the YouTube videos. We have several tools to automatically add Closed captions and Subtitles to the YouTube videos. • The new YouTube captions feature automatically translate the captions for videos. • It works on the video which had closed captions. • In order to activate the caption translation, Users have to click on the CC button of which is present at the bottom of the YouTube video player. • Users can set and select the default for the desired language. • Then you have to click on to the button again in order to toggle the captions that are translated. • There is no need of determining the original language of captions. • At present, the feature is supporting the English, Portuguese, Russian, French, Italian, Korean, Japanese, Spanish, German, and Dutch. • The new feature is working very well on the platform which made the creators finding a way to reach the new audience across the globe with this translation of captions. 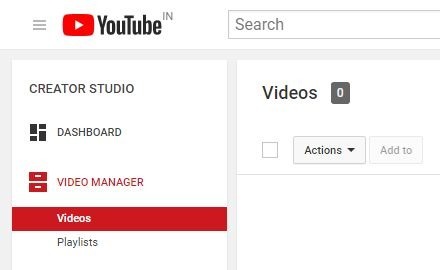 Step 1 : Go to your Video Manager. Step 2 : Next to the video you want to translate select Edit. Step 3 : Under the video, select the Subtitles and CC tab. Step 6 : Translate Video title, description, and captions into. Step 6 : Click the drop-down menu next to the Edit button. Step 7 : Select Subtitles and CC. The above is an extraordinary guide to the content developers and Video Production people to generate Closed captions and Subtitles to the YouTube Videos. Make use of this guide and start implementing on your own Videos. Therefore, captions translation feature on YouTube has opened the new doors to reach the global audience. So as a vlogger we need to concentrate on the YouTube captions as well.